A court may hear a petition to reduce certain felony offenses in California to a misdemeanor at any time following the suspension of judgment and granting of probation. In J.M. Meyer v. Superior Court (1966) 247 Cal. App.2d 133, 140, the court noted: “the word ‘thereafter’ in Penal Code Section 17 is not followed by a time limit, nor is it by express terms restricted to the probationary period. Moreover, in conferring upon the court the power to declare an offense to be a misdemeanor after it has suspended imposition of judgment or sentence, the Legislature evidently intended to enable the court to reward a convicted defendant who demonstrates by his conduct that he is rehabilitated. A court may also reduce a felony to a misdemeanor at any time following dismissal and expungement of the underlying felony. Meyer v. Superior Court (1966) 247 CA2d 133, 55 CR 350. It is a wise decision to retain the services of an experienced criminal defense law firm if you are seeking a reduction of a felony criminal conviction offense to a misdemeanor under Penal Code 17(b). 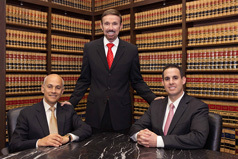 Wallin & Klarich criminal defense attorneys in California have over 30 years experience helping their clients. You can speak to one of our attorneys by calling now at 1-888-280-6839, or visit us on the web at www.wklaw.com for more information about setting up an appointment.